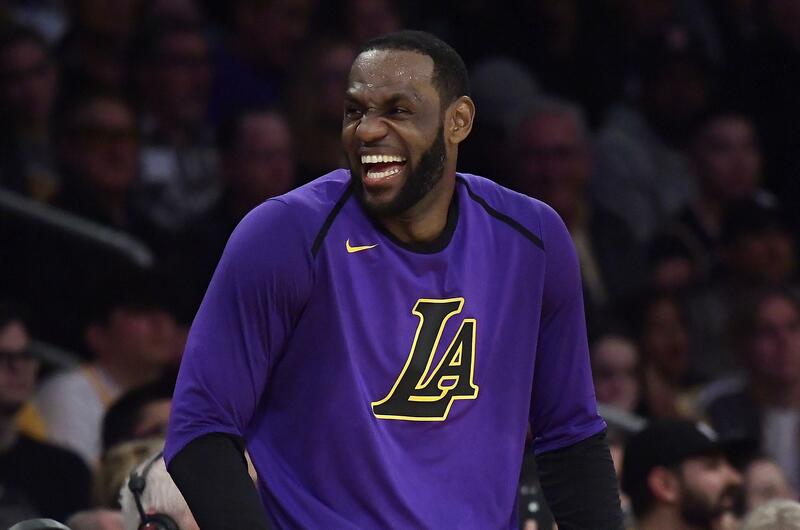 * The Lakers were not lousy this season because LeBron was pitching shows to Lifetime. No, team management was lousy and his teammates were lousy. And, what, suddenly LeBron wants to run a studio more than he wants to run an offense? Please. Heck, I never saw him at Chasen’s or Spago or The Brown Derby, where I conduct business daily; I just cut a three-picture deal with Keanu Reeves for MGM. LeBron provided LeBron-like numbers in L.A.: 27.4 points, 8.5 rebounds and 8.3 assists a game. Sure, he lagged on defense, but when you’ve been in the league 15 or 16 years, who wants to chase James Harden around all night? * I love Giannis Antetokounmpo. Everyone should love Giannis Antetokounmpo. It bears repeating about the best player on the best team in the East – six years in the league, and every season the 24-year-old has improved his scoring average, rebounding totals and field-goal percentage. But beyond that, the Milwaukee Bucks’ 6-foot-11 superstar is a joy on and off the court; he’s the only pro athlete who can simultaneously smile and scowl while running the court. How can you not love Giannis? He’s an eternal feel-good story. If you don’t feel good about Giannis, you never feel good. I feel so good about Giannis, I am going to toss all my Effexor into the Pacific Ocean and won’t even feel bad when I get backlash about ruining the environment. * Stephen Curry got contact lenses last month, so he can now actually SEE THE BASKET. This is flat-out scary – the greatest shooter in NBA history apparently has had blurry vision and was squinting to see distances well. This would be like Michelangelo painting the ceiling of the Sistine Chapel left-handed for 2 1/2 years, then suddenly remembering he’s right-handed and finishing it up with his better stroke. I am predicting that from the moment you read this sentence, Curry will only miss seven 3-pointers the rest of the postseason. True story: When I got my first prescription eyeglasses at age 8, I then ripped off 39 consecutive killer columns on the Vietnam War. * Attention, Colin Cowherd: Russell Westbrook is not an overrated statistical freak show; he’s a winner. The Oklahoma City Thunder guard just completed his third straight season averaging a triple-double. And he’s led his team to a winning record 10 straight years. Meanwhile, my buddy Cowherd – a Fox Sports 1 chatter head – has led his cable TV team to ratings misery. Cowherd also chimed in recently that MLB’s Mike Trout re-signing with the Los Angeles Angels makes him “rich and irrelevant.” As someone who is irrelevant but not rich, I resent that. Trout chose to stay where he loves it, and his presence alone likely will make the Angels relevant again. * A reminder to my loyal readers – please root against the Philadelphia 76ers. As we all know, the formerly tanking 76ers’ fabulous starting five is the result of years-long, morally corrupt, spit-in-fans’-faces, standings-altering gaming of the system. They lost on purpose, repeatedly. Trust The Process? No. Distrust The Process. Reprove, Reprimand and Revile The Process. Condemn The Process. Chastise The Process. Censure The Process. Crucify, Castigate and, yes, even if necessary, Calumniate The Process. * Quiz time: The following five players comprise the starting lineup for which NBA playoff team? D.J. Augustin, Evan Fournier, Aaron Gordon, Jonathan Isaac, Nikola Vucevic. * We wrap up with our annual tribute to Gregg Popovich, who, in 22 full seasons as Spurs coach, has led San Antonio to the postseason 22 times. Man, if he were my life coach, I’d be in the playoffs every year professionally and personally. A. No. And while folks made a big deal about Davis going 0 for 54 (dating back to September 2018), many overlooked an even longer hitless streak: Steven Mnuchin (February 2017). A. It is an I’m-not-gonna-watch-it-but-you-and-your-241-fellow-NHL-TV-viewers-nationwide-can-knock-yourselves-out hockey game. Or match. Published: April 15, 2019, 6:21 p.m.